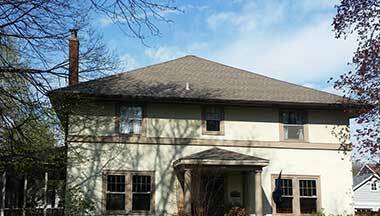 Allied Roofing Services in Chicago has more than 20 years of unparalleled experience as the premier commercial roofing, residential roofing and siding contractor in the Chicagoland area. Whether you’re looking for roofing and siding installation services or repair services in Chicago, when you choose a contractor for your project, you can rest assured that Allied Roofing Services will give your job the attention to detail and quality workmanship it deserves. That vision of your perfect roof representing your personal taste or business aesthetic will be turned into a reality with Allied Roofing Services. We listen to our customers’ needs and deliver quality results with special attention to safety. As your satisfaction is paramount to our success, we are with you every step of the way during the planning and installation process. Allied Roofing Services brings 20 years of expertise to your commercial roofing or residential roofing needs in the greater Chicago area. Our specialties range from decorative metal roofing and copper roofing, to flat roofing and green roofs, as well as cedar shake roofing. Whether you need roofing diagnostics, repairs, installation or general roofing maintenance services, we have you covered. Residential and commercial roof repairs, re-roofing, roofing installation and roofing maintenance services. Learn more about our renowned roofing services! Residential and commercial siding services, including vinyl siding repairs and installation. 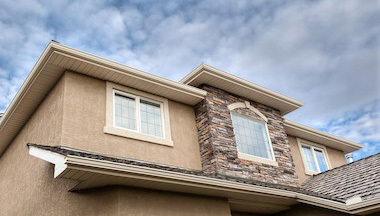 View more details about siding services available to you! Gutter system installation and gutter repairs. View more details about our gutter services that maintain the structural integrity of your home! 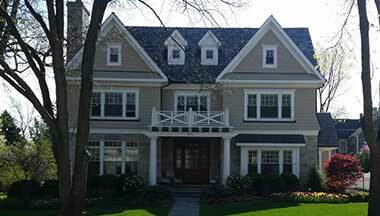 Your search for a quality roofing contractor in Chicago ends here. Our team of roofing experts can cover any roofing, siding or gutter job for your residential or commercial project. Allied Roofing Services has the experience, knowledge and certifications required to complete a project to the highest standards possible, and with more than 20 years of experience and happy customers, we raise the bar for other roofing contractors in the Chicago area. When you look for roofing services in Chicago and its outer suburbs, it is important that you feel confident your contractor has the experience needed to get the job done right. This is why we would like to share with you a few of the hundreds of remarkable projects that Allied Roofing Services has completed. View our portfolio to find out why our customers trust us to their roofing projects and why we are continually recognized as a distinguished leader in our industry. Allied Roofing Services offers the experience and standards you rightfully expect in an ideal roofing and siding contractor. Whether you seek to hire a contractor for your home or you are looking for a subcontractor for a commercial project, our policies and high-grade workmanship will exceed your expectations. When you choose Allied Roofing Services for your project, you can rest assured you are hiring the best team in the greater Chicago area. We welcome you to explore our website to find out more about why hundreds of customers have chosen our team over many others in our area. © 2016 Copyright by Allied Roofing Services, Inc. All rights reserved. One of our agents will be in contact within 24 hours.